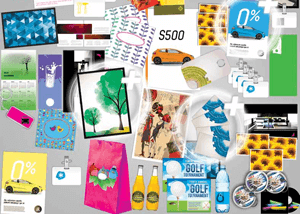 Print quality that is brilliant by design… a breakthrough in digital printing technology that goes beyond four colours. Leading the world in the innovation of LED technology, OKI has taken digital printing to a new level with the Pro9000 Series. 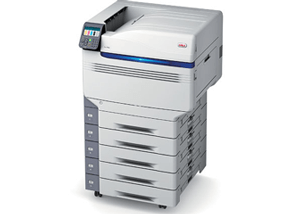 These printers are specifically designed for the graphic arts market offering outstanding print quality, higher print speeds, lower total cost of ownership and complete media flexibility. 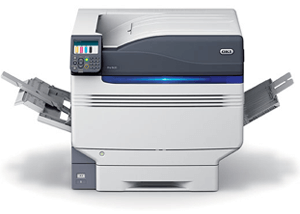 And, OKI takes graphic arts printing one step further with the Pro9541dn and Pro9542dn. 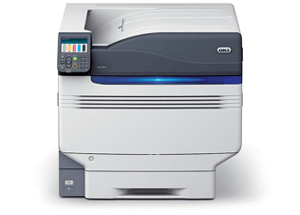 These A3 digital LED printers offer the unique option of printing with a fifth colour. You can now print on demand, the full range of process colours, with the addition of a fifth spot colour in either white or clear gloss. Now you can get complete flexibility with a significantly reduced total cost of ownership, as well as access to a new lucrative revenue stream… on demand. Designed to meet the needs of the graphic arts and creative industries with the versatility to serve general office requirements, the Pro9431 delivers vibrant, high-quality colour printing on a wide range of media, including gloss paper, film, transfer paper and waterproof paper.